The Sue Adler Team Ranks in Top 1000 Nationwide…Again! The Sue Adler Team is thrilled to announce we’ve ranked tops among real estate professionals in the nation for 2016! According to the annual report The Thousand, The Sue Adler Team was named #84 in sales volume for teams nationwide. The report is compiled by REAL Trends in partnership with The Wall Street Journal. 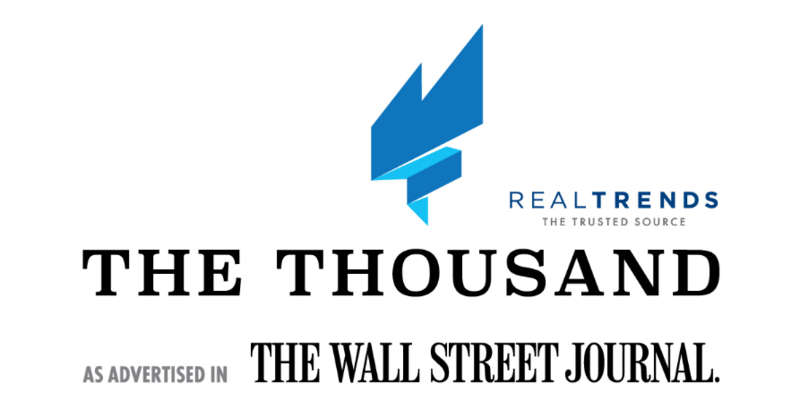 The Thousand is a comprehensive list of America’s top 1,000 real estate professionals. There are more than 1.1 million licensed Realtors in the United States. Therefore, the agents in the top 1,000 represent the top one half of one percent in the industry nationwide. It’s a huge accomplishment to make the list, and we couldn’t feel more honored. The rankings are based on surveys from nearly all national branded networks, state and local associations of Realtors, multiple listing services, previous years’ applications and the 900 biggest brokerage firms in the country. Third-party verification is required in order to qualify for the annual list. The Sue Adler Team ranks #1 in New Jersey…again! The Sue Adler Team has been climbing the list for the past several years, and our ranking of #84 in the nation is our highest yet. Not only that, but The Sue Adler Team is also the #1 team in sales volume for New Jersey, with a total of more than $161 million in transactions. That’s $30 million more than our nearest statewide competitor! How does The Sue Adler Team do it year after year? Our team has been the #1 Keller Williams Team in New Jersey for ten years straight. That’s because we’re a team of specialists who believe that our clients deserve the best possible service. The Sue Adler Team is comprised of some of the most talented, driven and compassionate agents in the industry. As a result, we keep our clients informed at all times and advocate for them throughout the entire process. Furthermore, our team loves to connect clients who are new to the area with each other and with local services. Because we think it’s important for our new neighbors to feel like a part of the community from the very beginning. If you are buying or selling a home in any one of the Mid-Town Direct Train line communities, including Short Hills, Millburn, Chatham, Summit, Livingston, Maplewood, South Orange, New Providence, Madison, Westfield, Berkeley Heights, Mendham or Harding, please don’t hesitate to contact us.